If you want your flooring to look as good in your home as it does in the showroom, the secret is a professional installation. Chillicothe Carpet flooring installers are trained and licensed where necessary. Our installers take the guesswork out of a beautiful floor; we warranty their work for the life of the floor. 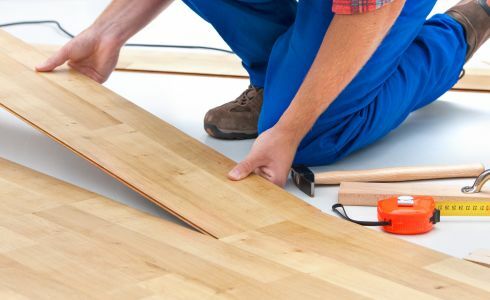 Replacing flooring is a significant upgrade for your home that will add to its value. In fact, a professional installation meets manufacturers’ warranty and guarantee requirements. Chillicothe Carpet’s service area includes Ross, Pickaway, Pike, Vinton, and Jackson counties. The installation crew will arrive on time, ready to start. While the workers are preparing to start, the supervisor will examine the flooring to make sure there are no flaws or damage. When the installation is completed, we ask that you walk through for approval. If you find any adjustments to be made, they will be done immediately. Chillicothe Carpets considers your installation finished only when you are completely satisfied.